I'll see what I can do. Enough learning tek for one day. Don't look at me, I'm not falling for that one again! I bought the book Tribe and have started reading it. Sebastian Junger, the author, starts off by contrasting the difference between the encroaching white European society and the existing American Indian society. There was rampant migration of people from those white societies into the Indian villages. They willingly married and fit into these nomadic tribes. When troops would want them to rejoin the tribes, they would have to be forcefully removed. Ben Franklin wrote that never did the Indians or the people that joined their tribes want to join the civilized people of America, they preferred to live in the tribes. He goes into how they differed, these nomadic tribes have a sense of community, of common purpose, of child raising, of survival for the group, there was a sense of sharing. Their possessions amounted to what they could carry, and hording was frowned upon. They lived that way for thousands of years, and in a few hundred years it was all destroyed by the invading European culture. He then compares the suicide rates, the depression rates, of the few remaining tribal societies and compares it to our modern society where studies show, the richer the society, the higher those rates are. Scientology is a tribe, the staff have a sense of community, common purpose, survival against desperate odds. That they peddle a false doctrine is a travesty, and that they, the staff and public, are preyed upon by the top two leaders - Hubbard and Miscavage is a pity, a miscarriage of justice and reprehensible. In any previous Indian society, those two would have been shown to edge the woods outside the village and told to start walking. That tribal sense is what makes Scientology so difficult to eradicate. It is a throwback to how mankind had evolved to survive over hundreds of thousands of years. We have a strong instinct to belong to small groups defined by clear purpose and understanding--"tribes." This tribal connection has been largely lost in modern society, but regaining it may be the key to our psychological survival. Though I personally resist the lumping of everyone into Tribes that's the norm these days, I agree with most of your points. However, the suicide rate in Scientology is very high, and that contradicts the other points. It's true for me that what kept me in Scientology (that was good) was the group cohesion and the wonderful people I knew there. Community is a good thing. Since it was Scientology, though, there were also threats, intimidation, and breaking down my morale and sense of self. I put up with that because of family and friends there. In that way, Scientology used Family and Community to control me. One small point that irritates me slightly is the lumping together of all scientologists as if they are all the same. I was in scientology for over 15 years and I didn't want to save the planet and I certainly didn't experience cameraderie. I was there to get myself up the Bridge and become OT. Everything else was a distraction especially the repeated interviews to join staff or the Sea Org. Even going in to the org where there were other scientologists was a distraction I could have done without. If I could have gone up the Bridge by staying at home and studying and processing myself then that's what I would have done. Yeh, sorry. I am ex-SO so had a different experience. Still, comaraderie were a big part of the public scene at the time I was in, too. You're right it was a huge distraction. It was meant to be, to keep the group thing going. In my OP I broke Scientology down into several distinct tribes, however, they are part of the larger tribe called Scientologists. I separated these various tribes within the general label / faction / tribe of Scientologists, because they have distinctly different goals, agreements, morals, and some at odds with the goals, agreement and morals etc. of the others. For instance, some of the IAS reges. recruiters, book store officers etc. have no compunction against ripping off peoples accounts, breaking up families to get a recruit, and signing up people for services, such as OT9-10 that the orgs will never deliver, push people into debt by falsely obtaining credit cards and getting the parishioners to use them, when they don't have the means to pay them off, all under the umbrella - it's for the greatest good. Thus, my point in the OP - some of the tribes are at war with each other, instead of forwarding the goal to "raise man to greater heights bla bla." Sorry, but now you know who to blame when your computer next acts up. A point Sebastian makes is the feeling of companionship you feel in a tribe - and it got me thinking - how many substitutes for companionship do we have in our urban lives when we hardly know any of our neighbors, and are surrounded with strangers, sometimes all day? TV and radio - it's a one way flow though - but how many house wives whos kids are at school, or moved away, are spending their lonely afternoons watching their soaps, Ellen and the like? Pets - there were no comfort pets that are lugged through stores or in the driver seat of cars when I was a kid, but they are a plague now. They are also a poor substitute for human interaction. Boards like this one - where you have a relationship with people of a kindred (we hope) spirit. Another concept that occurred to me - if we in fact lived thousands of years a nomadic tribes, hunting and gathering, our possessions were limited to what we could carry, pack on a horse, or drag in a travois, and our societies were egalitarian, and the weapons were knives, spears, bows and arrows, there was parity amongst the peoples ( unlike our guns) and so things were decided on agreement between the individuals of the tribe, then communism, socialism capitalism, and the other -isms are aberrations - false institutions foisted upon the individuals. Sebastian makes the point - it was agriculture and later industrialization that broke the back of the tribes, and it allowed the accumulation of wealth and the wants of the individual to outweigh his /her commitments to the tribe. It was the death knell to those who, throughout history, we as tribe members, were. Politics from the divine right of kings , emperors, down to the top 5%,and our current political system, is hardly fair, in it's unequal distribution of wealth, and the oppression of the majority of the population to maintain dominion over them. Sad state of affairs, and I am at a loss for a way to reverse it, because there is no money to be made by making a country such as ours egalitarian, fair and just to all. No reason for those who wish more, and all the reason for those that have less. If there were a massive CME (Coronal Mass Ejection) that were to completely fry our electronics and knock us back to the stone age, who would survive? Certainly few in the urban centers. Maybe, instead of buying that next iPhone, you should invest in a tent, sleeping bag, string and fish hooks, and a bow and some hunting arrows, and learn how to use them. Oh, and get some feathers for your hair. The items and issues on this thread are interesting. However, IMO, using the terms "tribe" or "tribalism" are misnomers for this. The better term would be "group dynamics". I remember at my org there was a female member of public who lived near me and we used to see each other often outside of the org. She was a member of a hard-core famous scientology family in the UK. She once said to me: "You don't like the sea org do you?". This put me on edge because I assumed this was going to lead to a KR. I asked how she knew that and she said she could see it in my face whenever a sea org person was around. That was funny because the org ED once said the same thing to me about org staff members. Apparently I would have some distasteful expression on my face when dealing with them. Anyway, I didn't get a KR on either occasion, which was unusual because I had written KRs on both of these people previously and they had written them on me. In fact at my org it was KR City. The ED once annoyed me about something so a few days later I wrote a KR on her about something else and she later came to apologise to me. Even though I was public I wrote KRs on the HES, the OES, the Flag Rep and probably most other staff members and some public too. KRs, to me, were weapons to be used to deal with the day-to-day business of surviving in and around a scientology org. So I suppose I had a different experience of scientology to most people. Even though I was public I didn't feel that other public members were my friends. It was a working relationship and it could get nasty at any time. Scientology to me was a first dynamic activity with other dynamics being thrown at me to distract me from my goals. I think you have an overly idyllic view of tribal life. In any group, there will be people with more power than others, whether that power comes from being stronger, being better at getting resources for the group (eg, reges in Scn), or being better enough at political manipulation that he accumulates a group of bullies who assist him in keeping the rest in line (Davey at Int). As far as things having been more egalitarian when we used spears and blades instead of guns, it was the gun which allowed a 90 pound woman to be on an equal basis with a 250 pound guy. In the days of the sword, a man who had enough time to develop his skills (like a nobleman who had lots of leisure time to practice) could defeat a group of unskilled men, even if they also had swords. Enthetan, I am bringing up the points in the first chapter of the book, which deal with tribes in the 1700s when America was first being colonized, as well as some the tribe that were intact in Africa during the 1970's. The point I read the next day after posting, was the overarching duty to the survival of the group, and the bigger crimes were hording, shirking helping with hunting, fishing etc. Typically, the older men cast out those that weren't onboard with tribe survival, if they didn't kill them outright. He discusses the amount of time they spend gathering food etc. child rearing and compares it to modern man - we lose. Not only do we have more depression, and other mental ills, and rich American women have the highest statistics for that, we work many hours of a day longer then they. He also compares time spend child rearing, holding infants, in tribes compared to modern urban life, and somehow imparts a wealth of data, in a way that is anything but dull and dry. They were a close knit group. You might buy a used copy and give it a read - it isn't a tome. Programmer guy - re: "The items and issues on this thread are interesting. However, IMO, using the terms "tribe" or "tribalism" are misnomers for this. The better term would be "group dynamics". " "We have a strong instinct to belong to small groups defined by clear purpose and understanding--"tribes." This tribal connection has been largely lost in modern society, but regaining it may be the key to our psychological survival. I think your term would be more appropriate for describing the interactions within a particular tribe. The gun was the great equalizer. A peasant woman...like you said...could, with a pull of a trigger, blast a knight wrapped in steel right out of the saddle and all those years of training and dedication were so much powder and smoke. The word "tribe" in referring to groups of humans is similar to "flock" for birds or "herd" for deer. For modern humans this term is no longer applicable except for a very few isolated groups of humans in the remote regions of, say, South America or Africa. For example, if I enroll in a college I am not joining a "tribe". For example, if I go to Brazil and join the Awá people then I AM joining a tribe. As I pointed out earlier, this group of anthropologists that originally pushed this usage of "Tribe" were deliberately trying to integrate Marxist ideology into the field of Anthropology. As far as they were concerned the word "Tribe" was a tool of Colonialism to subjugate victims of Capitalism. Marxism relies upon breaking down societies into groups that compete for rights and resources that are granted and redistributed by a power elite according to the elite's concept of need. By Scientologizing the word "Tribe" Marxists redefine groups with arbitrary classifications to further this segregation much like LRH does in Science of Survival. As far as I'm concerned this is Mimsey's "Progressive Thread" but because he didn't want to put it under "Off Topic Discussion" where viewing is limited, he is using the "'Evaluating and Criticizing Scientology" category to further his Marxist agenda. I do believe that humans have evolved deep impulses about how to survive as part of groups and the phenomena of Stockholming is a prime example of this. One of LRH's talents was the ability to manipulate and capitalize on the instinctive loyalties that Scientologists have toward other members of a group. This kind of behavior can properly be covered under Sociology and Anthropology but it is disingenuous to try to discuss it while subliminally indoctrinating people into Marxism. Wow. I was completely unaware tribes were a Marxist plot. My mind reels. 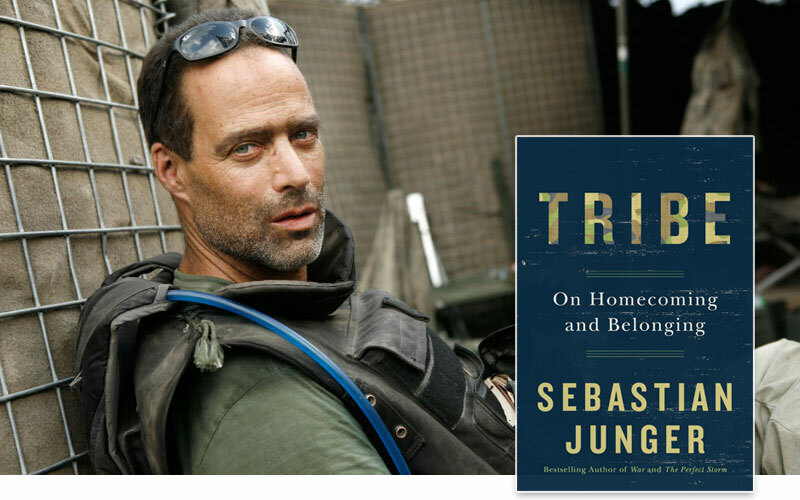 Programmer_guy - Sebastian Junger, the author of the book "Tribe" is using it in the sense of the tribal interaction - co-survival urge that we, as hominids have existed with for hundreds of thousands of years. Co-survival in the face of horrific odds. It is kind of an instinct, like rushing into a burning building to save a child in the face of certain death. In situations like war, disaster, or having to hunt for wary game to help feed the tribe, which can require a group effort, such as a bunch drive the game toward a waiting group in a kill zone, it is this mutual helping, that is a hallmark of our ancestors survival ability, that defines the concept - tribe. There was a recent landslide in Chile. 90% of the population of the city was wiped out. Because of the dust in the air was so thick there were no helicopters - no rescue - no nothing from the outside world. The people worked together, rich and poor alike, to survive the disaster, to help each other. They became a tribe in the same sense as all of our hominid ancestors were tribes, they were working together to survive. Nothing else mattered. When outside help was finally provided, they reverted to the rich /poor mode of modern society. He cites several instances of this,which is common in wars and natural disasters. When the Nazis bombed London - Churchill was afraid the society would dissolve, that communists would take over the bomb shelters, and the like. The opposite happened - the population pulled together and kept on being productive, despite the incessant bombing. When the USAF Carpet bombed Dresden they had the idea it would drive the Germans to their knees. It did the opposite - it strengthened that city's resolve to shoulder on. Other German cities, not bombed were a nervous wreck. There are published studies on it. Enthetan - I was thinking today about your comment that I was romanticizing tribal life. Perhaps, but as I work my way through the book I am being disabused of that. Thanks for pointing that out. Original big blu - I am most definitely not a Marxist, I do not believe state ownership of business is a workable idea, however I have social democratic leanings, similar to the Scandinavian countries where there is a market economy driven by business people, but a social system of state provided health care / medical and low cost or free education. I put it here because I liked the idea that Scientology consists of waring groups, instead of the members only section which deals with non-scientology issues. I know it isn’t possible to change your mind about your political ideas Mimsey and I have absolutely no desire to try. I only want readers of this thread to understand that this concept of “Tribe” originated with a hotbed of Marxists called the Mundial Upheaval Society. You don’t see conservatives or free enterprise capitalists using this expression because it is a typical Marxist attempt to control the language. The ancient Sophists understood that the party that controlled the language controlled the debate so they adopted strict rules to prevent people from using language as a device to win a debate instead of on the merits of one’s position. Marxists can’t really say what they want or what the results of their ideas actually are. They must remain undefinable while defining everyone else. Like Scientology they must use front groups Like Narconon and ABLE that deny they are affiliated with Scientology while trying to infiltrate society with Scientology doctrine. Like Democratic Socialists they can’t admit they are Marxists while pushing Marxist ideology until they have enough power and control to come out as who and what they really are. And like Scientology they must pervert language as part of the milieu control. The only problem I have with this thread is it isn’t being honest about it’s intentions. If it were honest the thread would be called “Interpreting Scientology Groups With Marxist Tribal Theory”. Tribe looks into the failures of modern/western society: “Modern society is afflicted with some of the highest rates of depression, schizophrenia, poor health, and chronic loneliness in human history.” (Sebastian Junger). The theory is that the goals of capitalism and modern society are to lead people towards attaining financial independence. Financial independence, or isolation, can lead to emotional desolation — which causes mental illness. In tribal societies, survival is contingent on the human ability to cooperate, leading to emotional connection, autonomy, and a defined meaning of life; tribal societies are statistically better for the human emotional state. Not only do I think that the values presented in Tribe are libertarian, I think they may only be legitimately attained voluntarily. I say with confidence that Karl Marx was a voluntaryist libertarian. Marx believed that his teleological goal of society must be achieved voluntarily. While a student at CCNY, Fried and his friend Richard F. Shepard formed the Mundial Upheaval Society, which later flourished at Columbia University. Fried served in the U.S. Army during World War II, after one year of graduate work in anthropology at Columbia. In the Army, he was sent to Harvard to learn Chinese and he went on to specialize in the anthropology of China, earning his Ph.D. at Columbia in 1951. He did fieldwork in 1947,'48 in Anhwei Province, China, and published his research in The Fabric of Chinese Society (1953). His mentors were Julian Steward and Karl Wittfogel. His cohort included Elman Service, Eric Wolf, Sidney Mintz and Stanley Diamond. His first graduate teaching assistant was Marvin Harris and his first graduate student was Marshall Sahlins. Fried, Morton H. 1975. The notion of tribe. Menlo Park, Calif: Cummings Pub. Co. He was one of the founding members of the Mundial Upheaval Society, a graduate student group that included Sidney Mintz, Elman Service, Stanley Diamond, and Morton Fried, all of whom went on to play major roles in anthropology. Although never a doctrinaire Marxist, Wolf believed that anthropology could be improved by the introduction of Marxian concepts. His emphasis on political economy and historical process used Marxian ideas to challenge the functionalist model of cultures as static isolates and played a major role in introducing ideas of power and material forces into cultural anthropology. Ok. Specifically what Marxian principals / ideology are being espoused here? I don't follow the implications. I don't pretend to be a Marxist or Leninist scholar, so I am lost in the significance you are referring to. I can't seem to find much of anything about the Mundial Upheaval Society on the net, other than it was in existence in the 40's, and the below paper, which doesn't really discuss it, but is more concerned with the slave workers in the sugar cane business. It doesn't really go into what Marxian principals they believed in. But it brings up dialectic anthropology, which I can't seem to find a definition for, other than it's a name of a magazine. What the hell is it about, what are it's goals? Opposing forces in anthropology? Such as capitalists exploiting workers in different societies, such as the sugar cane workers Mintz studied? I am not sure how that relates to the concepts expressed in the book "Tribe"
Sidney Wilfred Mintz (November 16, 1922 – December 27, 2015) was an anthropologist best known for his studies of the Caribbean, creolization, and the anthropology of food. Mintz received his PhD at Columbia University in 1951 and conducted his primary fieldwork among sugar-cane workers in Puerto Rico. Later expanding his ethnographic research to Haiti and Jamaica, he produced historical and ethnographic studies of slavery and global capitalism, cultural hybridity, Caribbean peasants, and the political economy of food commodities. He taught for two decades at Yale University before helping to found the Anthropology Department at Johns Hopkins University, where he remained for the duration of his career. Mintz's history of sugar, Sweetness and Power, is considered one of the most influential publications in cultural anthropology and food studies. I'm not going down this rabbit hole with you Mimsey. Any readers who want to understand how Neo-Tribalism is essentially Marxist doctrine should study Cultural Marxism. And it absolutely would not surprise me that someone indoctrinated in Cultural Marxism wouldn't themselves be able to recognize it.